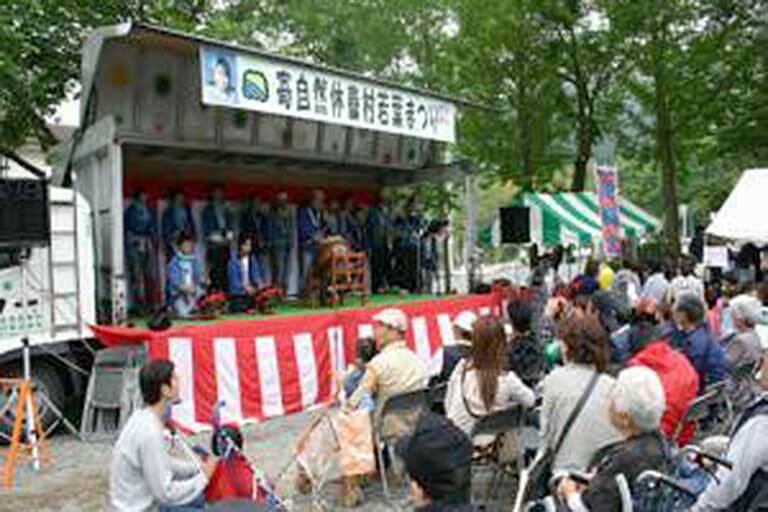 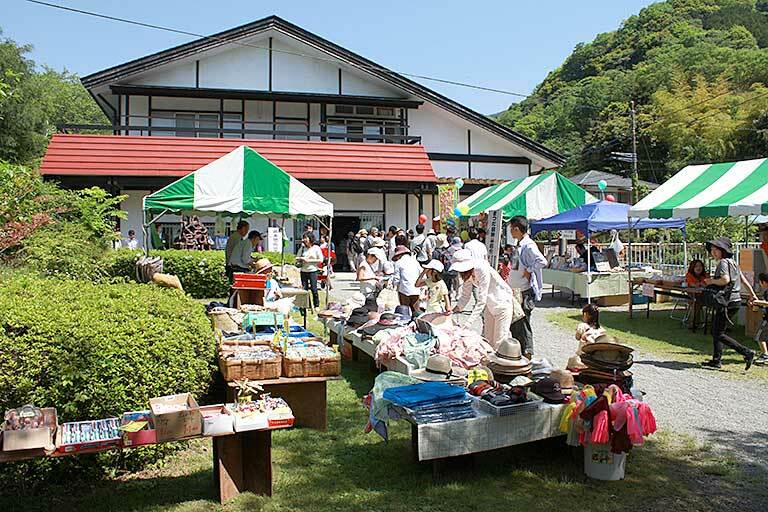 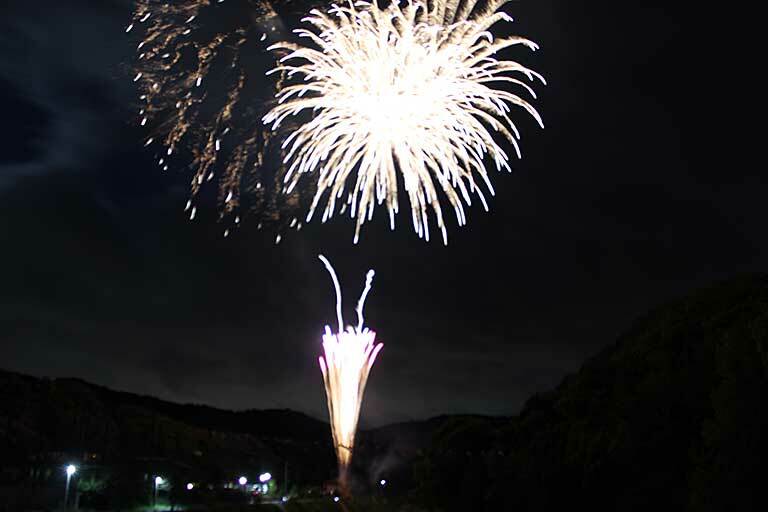 Wakaba (lit: new leaves) Festival will be held to promote local industries in Matsuda town, and deepen the exchange between urban and rural areas. 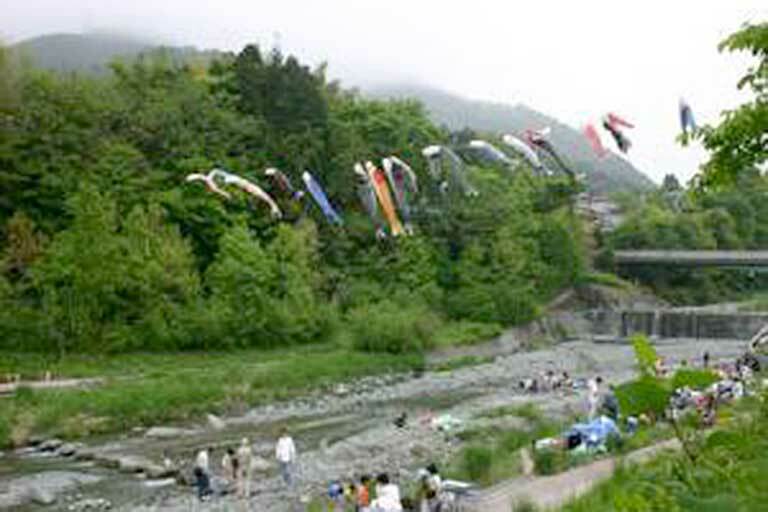 The mountain peaks of Tanzawa are colored by the new green leaves of May. 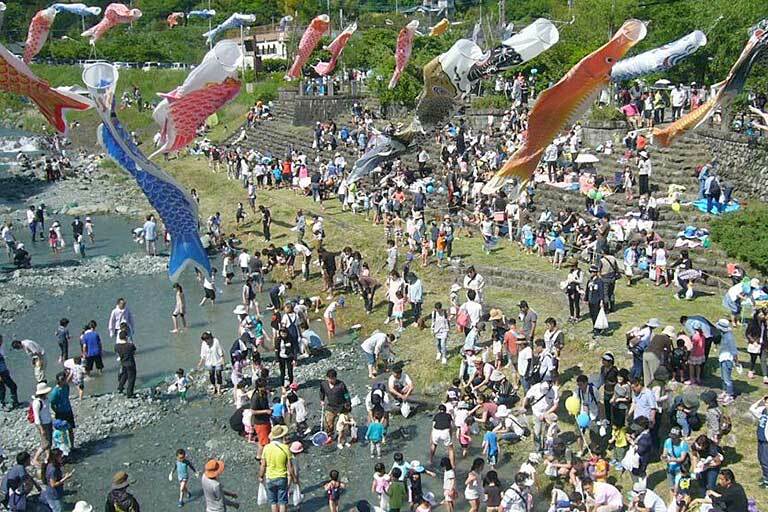 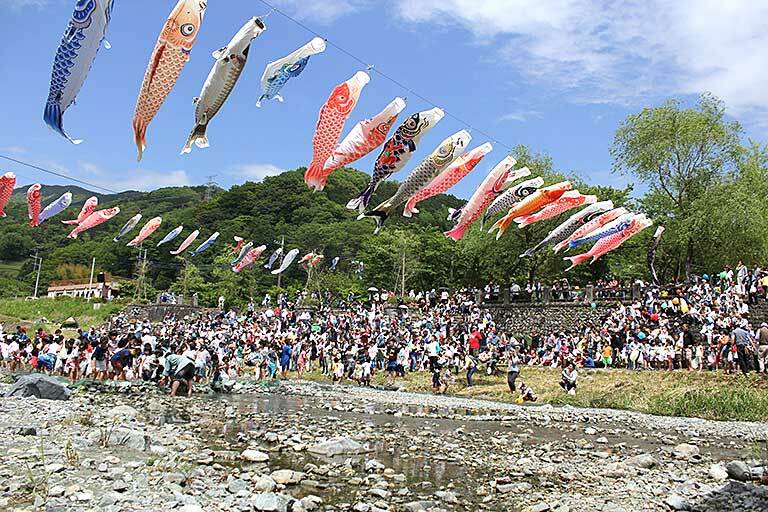 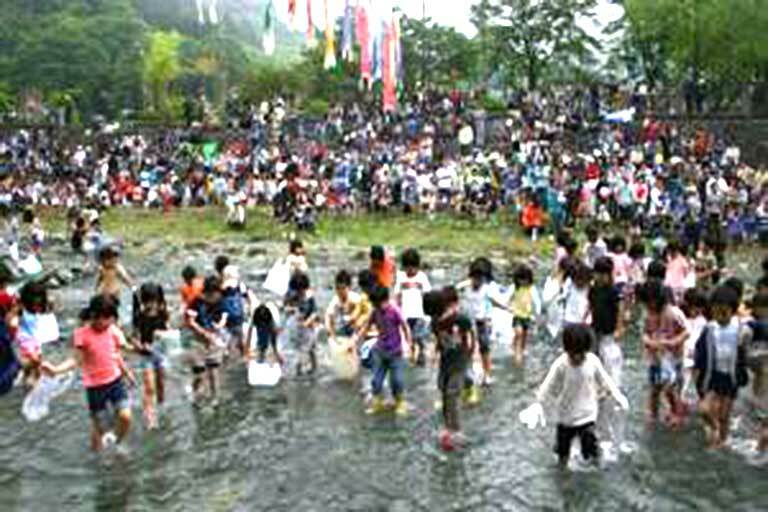 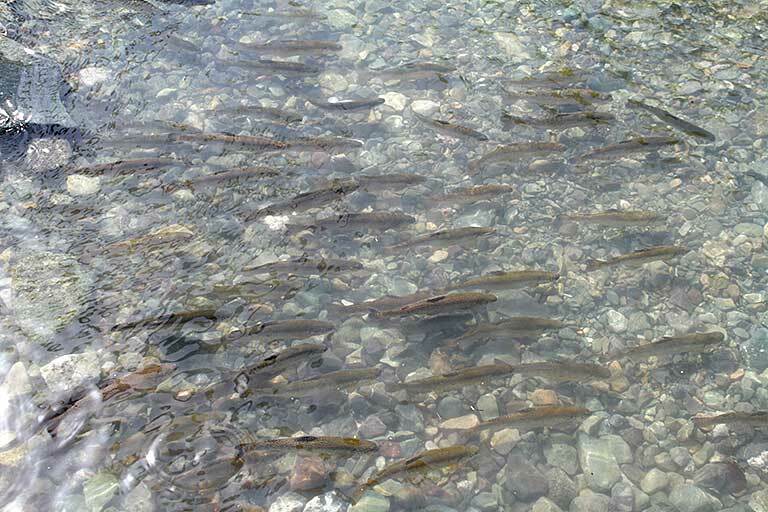 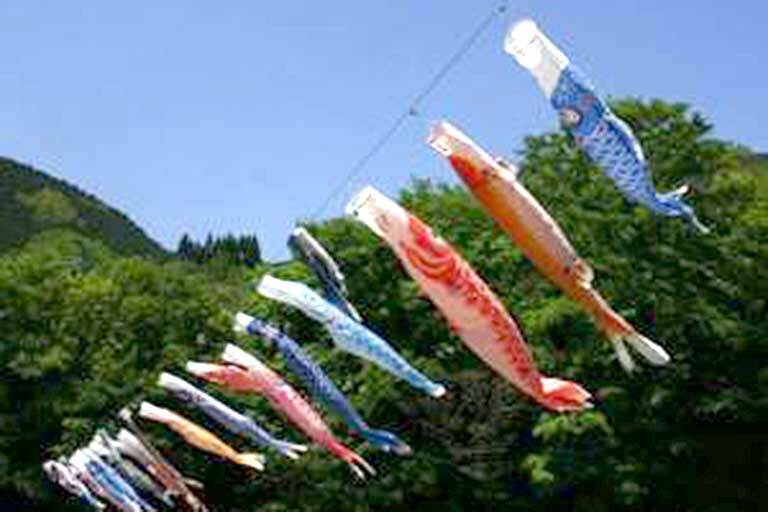 While koi carps of all colors swim in the sky, kids can take part in a highly popular ‘trout catching tournament’, farm products are displayed and sold, and many other fun events are held.